The success story of CDC started in 1982, based on a pioneering passion for construction and the constant strive to enhance. Today CDC is the leading construction & development company in one of the world´s most interesting growth markets. The product and service portfolio of CDC covers every link in the project value chain and offers products and services on the highest international level. With a focus on technology and quality leadership, our strategy is the creation of lasting values. In our efforts, at all times we are combining creativity, specialization and constant self-renewal with the reliability that makes us a partner of choice. With the capability to accompany the entire life cycle of any project, over 5000 CDC employees generate superior benefits for our customers when designing, financing, building and operating a project. We invite you to discover CDC and our philosophy of "turnkey thinking". 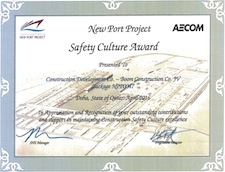 CDC was first in Qatar fulfilling the high international standard of ISO 9001. Our target is clearly defined; to sustain competitiveness in the long term. Responsibility for people, the planet and for future generations; it is a key part of our business strategy and essential for our long-term success. Our approach to sustainability is based on the three main pillars: environment, people & communities and economic success. When it comes to Health & Safety CDC sets the highest standards to protect its employees and subcontractors. The rules and guidelines contained in the CDC Code are the unyielding solid boundaries with which all CDC / Associated companies / Branches employees must apply in their business activities. The reputation of CDC is our highest priority and we must ensure that it is preserved and safeguarded. Our conduct is in compliance with these ethical principles. All executives, employees, associated companies / branches of CDC are responsible for ensuring that their conduct is in compliance with the binding principles set forth in the "CDC Code of Conduct". We are committed together with our Associated Companies to conduct business in accordance with the highest professional standards of ethics and integrity. 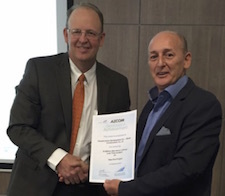 Our Corporate governance dictates the norm of business relations between CDC Employees and our Clients, Regulatory Authorities, Principals, Suppliers, Sub Contractors, Consultants and Service Providers. Please download the Corporate Social Responsibility Policy under the following link. CDC is a founding member of the "Qatar Green Building Council". The "QGBC", as member of the "World Green Building Council", is promoting environmentally sustainable practices for green building design and development. The prime goal is the advancement of work that supports the development and implementation of high performance "green building" policies and principles in Qatar. 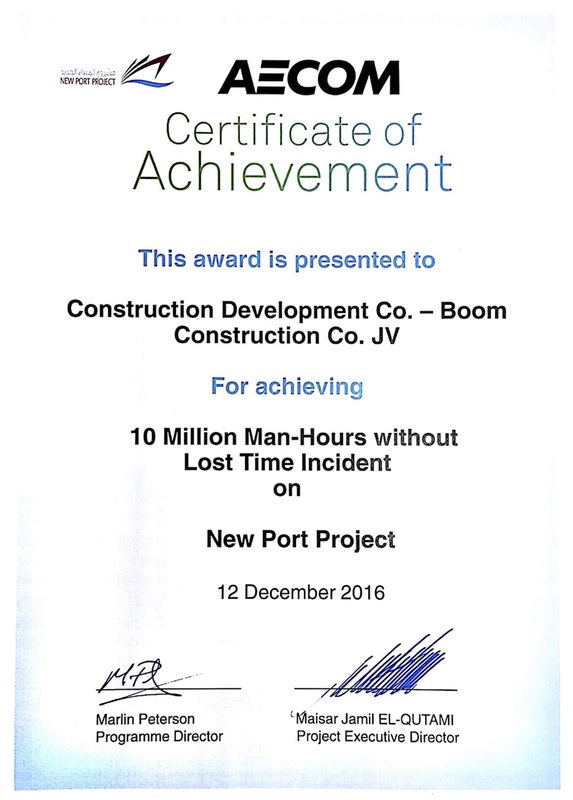 Construction Development Company - Boom Construction Co. JV was awarded with the "Safety Culture Award - April 2016" in appreciation of the outstanding contributions and support in maintaining Construction Safety Culture excellence. 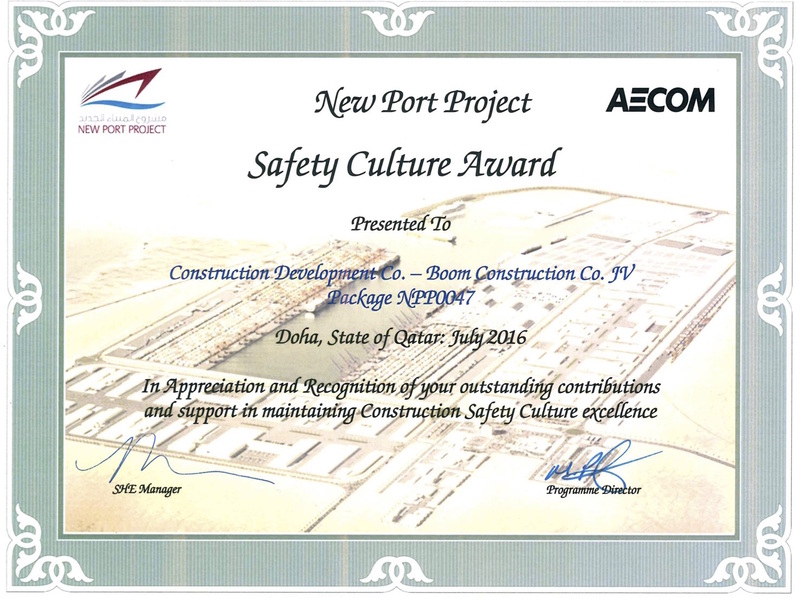 Construction Development Company - Boom Construction Co. JV was awarded with the "Safety Culture Award - July 2016" in appreciation of the outstanding contributions and support in maintaining Construction Safety Culture excellence. 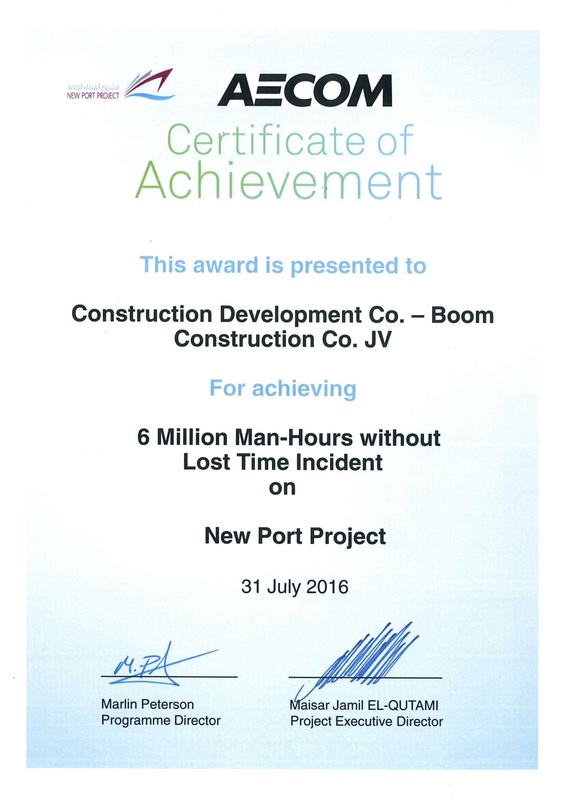 Construction Development Company - Boom Construction Co. JV was awarded with a "Certificate of Achievement" on 31 July 2016 for 6 Million Man-Hours without Lost Time Incident on New Port Project. 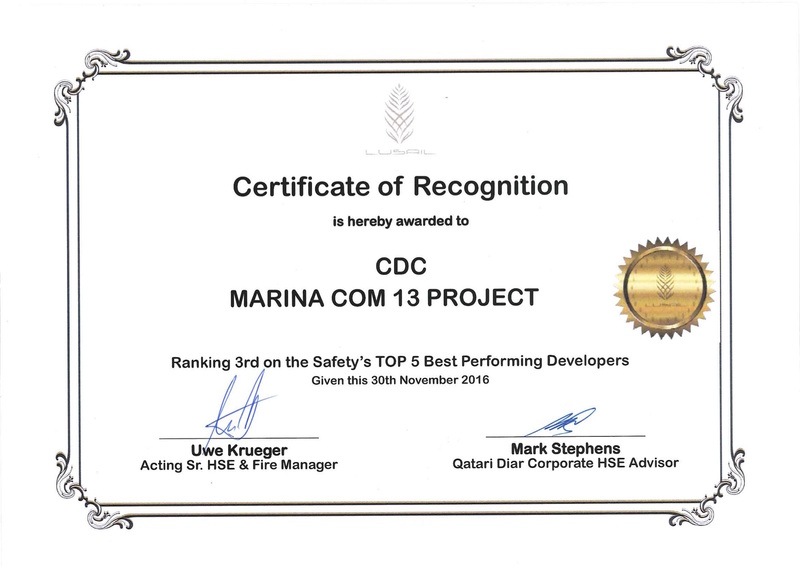 A Certificate of Recognition was awarded to CDC for ranking 3rd on the Saftey's TOP 5 best performing developers.